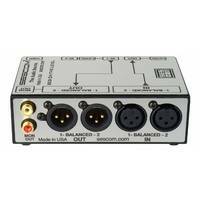 This device is a bi-directional balanced to unbalanced audio level converter with level controls. 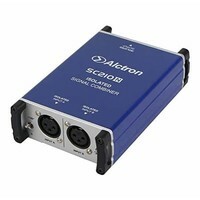 With XLR I/O, RCA I/O and 3.5mm input connectors, it is easy to convert signals for controlling levels. 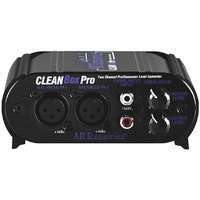 Rugged build and includes power adapter. 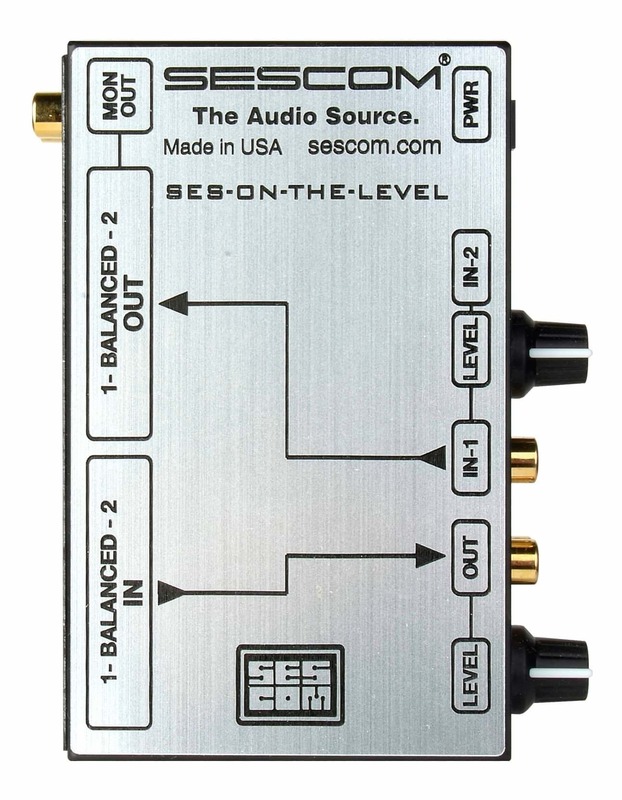 This device is a bi-directional balanced to unbalanced audio level converter with level controls. 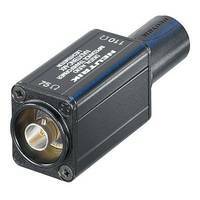 With XLR I/O, RCA I/O and 3.5mm input connectors, it is easy to convert signals between audio standards and control output levels. 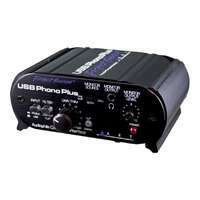 Ruggedly built and includes power adapter. 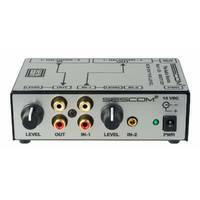 The ON-THE-LEVEL features stereo line outputs (L/R RCA) with a dedicated level control to feed a stereo amplifier for real time monitoring, allowing the user to listen in, without disturbing the conversion. 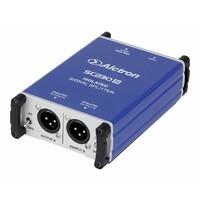 12VDC powered - AC adapter included. 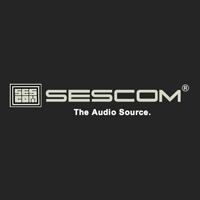 SESCOM have been manufacturing pro-audio transformers and interface technology since 1975. 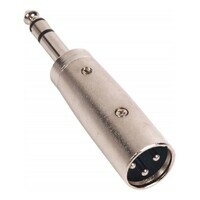 They are the preferred supplier to many professionals in broadcast, film, TV, Studio and pro audio industries. 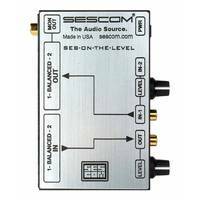 Located at a state of the art facility near Woodstock, New York, Sescom maintain high quality standards, advanced engineering and top class service, which is why they are an industry standard audio product manufacturer.